Make a stomp rocket. Discuss the forces, pressure, chemistry involved (depending on the age level). We will use gas pressure to make a toy. Roll the cardstock snugly around the stiff tube, then tape along its length to make it into a tube. Slide the cardstock tube off, flatten one end, and tape it closed. Optional now or after launching a few times: decorate/add rocket fins etc. Pull the bike inner tube over the mouth of the plastic bottle; secure with duct tape. Pull the other end of the inner tube over one end of the stiff tube; secure with duct tape. 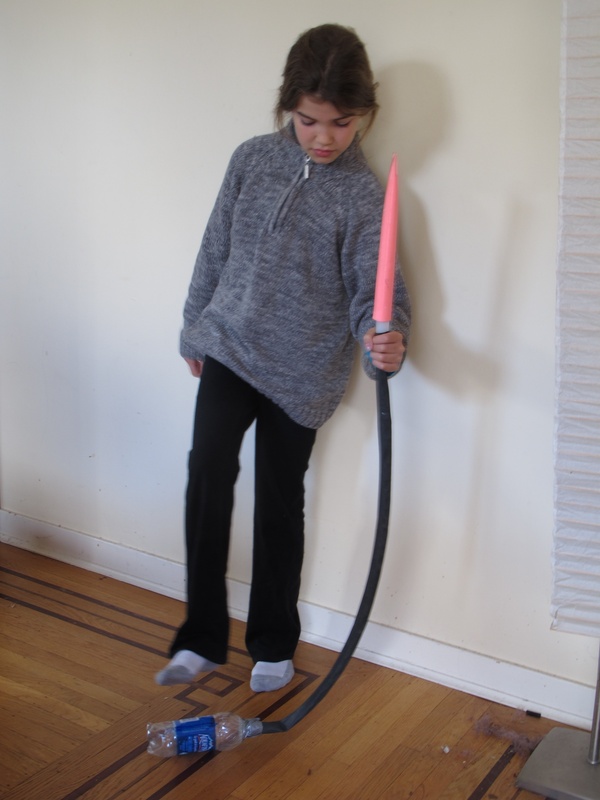 Slide the cardstock rocket over the stiff tube, point away from people, then stomp on the water bottle. 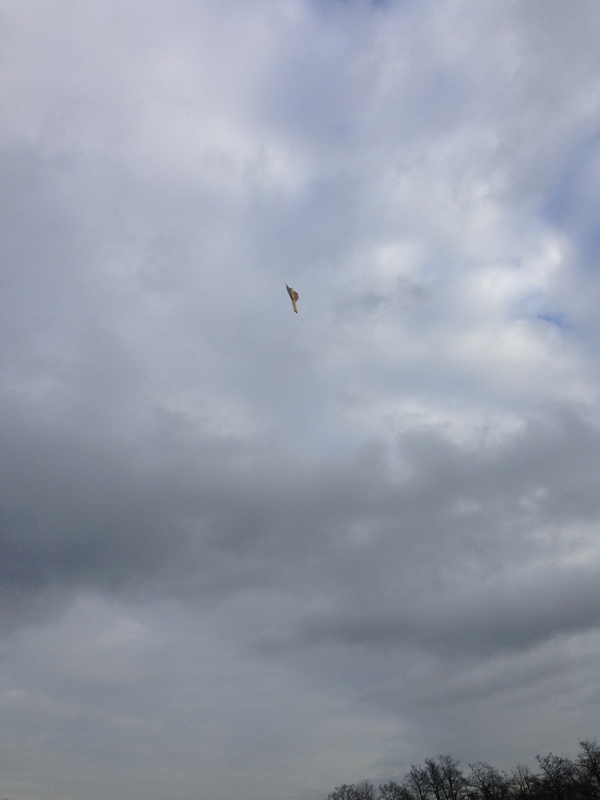 (Best done outside, or in the gym or other room with very high ceilings - the rocket can go tens of metres high). 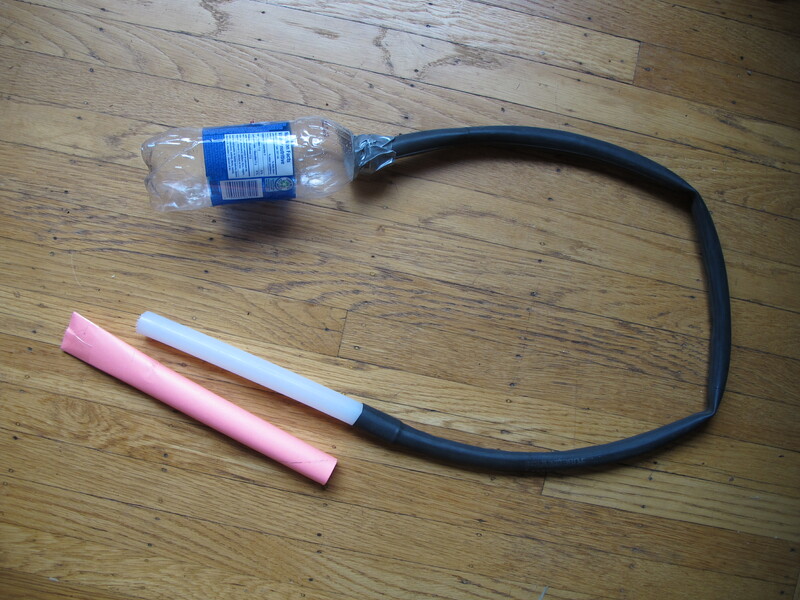 To reinflate the water bottle, blow down the stiff tube. Replace plastic bottle once this one stops working - try a bigger bottle (e.g. 2 litre). Add fins to the tube to make it fly straighter and higher. Some water bottles are hard for younger students to reinflate, so are not recommended. For smaller bottles, I found the thinner plastic water bottles (I think about 350ml) are easy to inflate and can send the rocket high. The slightly larger, thicker plastic bottles (about 700ml, water or soda drinks) are much harder to inflate. 2 litre bottles I have not tried with a class yet.